BALTIMORE, Md. 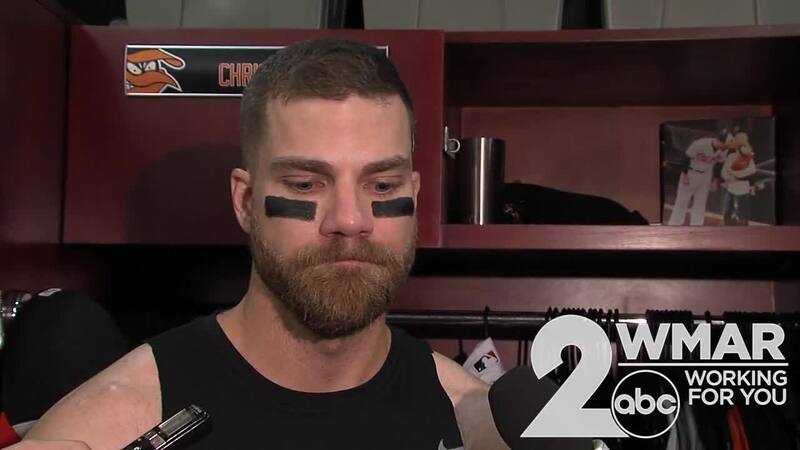 — Baltimore Orioles first baseman Chris Davis went 0-3 with a walk during Thursday's 8-5 loss to the Oakland Athletics. Davis extended his Major League record hitless streak to 53 consecutive at-bats. He also set a new Major League record with 61 consecutive plate appearances without a hit.